Synthetic vs Natural…Do you know the difference? If you want to manage chronic illness and fatigue, feel more energized and healthy, AND avoid putting unnatural chemicals in your body – then this will be the most important information you’ve read all year. Most chemists maintain, molecule by molecule, synthetic vitamins are identical to natural vitamins. And while the isolated factor of each may be identical, newer information challenges this belief. Man-made synthetic supplements are a combination of SOME of the separate factors but never the WHOLE complex found in nature. (The whole family of B, C, or E vitamins is known as a “complex”.) Where synthetic vitamins may cause improvement of certain conditions for a short time, the whole complex goes even further. It is now believed these “unknown” co-factors found in natural vitamins (not found in synthetic forms) act as catalysts which make the vitamins more effective. Think of it like a baseball team – while one player may be able to knock it out of the park every one in awhile (synthetic vitamins), it takes an entire team (natural complexes) pulling together to win a game. Synthetic vitamins have a difficult time being ABSORBED. It was reported in Tacoma, WA that 250,000 pounds of undigested vitamins and minerals are pulled out of the sewage every six weeks (All those One-a-Days). In Salt Lake City, UT, over 150 gallons of vitamins & mineral pills show up in their filters every month. Metallic minerals and coal tar vitamins made from crushed up rocks & petroleum were not designed to be digested. Even those pills listed as “all natural” often have filters and coatings that inhibit digestion. The reason why synthetic vitamins are so popular is because they are easier and cheaper to manufacture in a lab from petroleum products than to grow and harvest from crops. Two groups of nutrition-starved rats were involved. One group was fed synthetic vitamins and the other group was fed whole food concentrates . After one month, guess what happened? The group given whole food concentrates improved 5%. The group consuming synthetics improved 50%. The second month, the rats that were given whole food concentrates were another 5% better. The rats fed synthetics were another 50% better and were normal. But …. After the third month, the rats fed whole food improved another 5% and the rats that were fed synthetic formula ALL DIED! WHY? Synthetic vitamins act like drugs forcing the body to change at a rapid pace. Whole food vitamins follow the body’s natural healing and growth cycle, which is slow. The rats that were fed natural whole food vitamins continued to improve 5% month after month. Are the vitamins you take causing deficiencies? Research indicates that synthetic vitamins may actually cause nutritional deficiencies. When you take a synthetic vitamin, it needs the co-factors normally found in whole food to complete its action. If they are not in the foods you eat, it will steal the co-factors it needs from your body. The prolonged action of synthetic vitamins imitate the action of drugs; they over-stimulate rather than feed your body. You may feel good for awhile but when the co-factors run out, you will begin to feel worse. Science does not come close to duplicating nature. Many illnesses, pain and suffering are the results of our dietary ignorance. Synthetic vitamins will never have the effects of natural vitamins simply because they are missing many parts of the whole complex. We know it’s true… if you suffer from seasonal allergies here in Wisconsin, you’re going to have to stock up on the antihistamines and decongestants if you want to make it through our beautiful summer months. But wait…is that true? The mention of seasonal allergies usually conjures up images puffy eyes, red noses, and a host of over the counter decongestants and antihistamines that allergy sufferers swallow down in a vain attempt at finding relief. The reality is, though, that those drugs can cause increased heart rate, blood pressure, mental fog, and drowsiness – which, when you think about it, isn’t really that much better than the allergies themselves. Following an all-natural path to wellness in general – but also for allergy relief – can help you feel better, without all the nasty side effects of medication. Food is fuel, we all know that. But most people don’t realize that food is also medicine. What you eat can have a profound impact on your health – and your allergies as well. Below are some of our general recommendations for helping ease your allergies and sinusitis through a healing diet. But keep in mind that consulting a professional (ahem- like those at Chippewa Valley Wellness) for a personal review is always recommended. Drink Plenty of Water – It may be hard to believe, but just sneezing and blowing your nose can cause dehydration. Dehydration leads to headaches and can actually aggravate your allergy symptoms further. Something as simple as keeping your body well hydrated can stop the cycle and help alleviate your symptoms. Ginger has been reported to have anti-inflammatory properties. Just make sure you take any ginger supplements with caution. Side effects could result if it interacts with certain blood thinners. Chop some onions, the stronger the better. Cooking with fresh onions can naturally help with opening and draining your sinuses (i.e. they make you cry, naturally ). Additionally, onions contain quercetin, a chemical compound with antihistamine properties. Garlic’s naturally occurring chemical compounds (allicin, S-Ally cysteine, and ajoene) are responsible for it’s believed to improve mucus flow and aid in the reduction of congestion through its mucus thinning and anti-inflammatory properties. Omega-3 fatty acids are essential fats with anti-inflammatory properties. Increasing the consumption of these healthy fats can reduce immune dysfunction and help alleviate allergy-related conditions. Vitamin C counteracts histamine, the substance that can contribute to inflammation, runny nose, sneezing, and other related symptoms. Naturally Clear Your Sinuses by inhaling steam from a humidifier, hot bath, or a boiling pot of water (be careful!). Try nasal irrigation. Washing the nasal passages with a saline solution (which can be made by mixing one teaspoon of salt with two cups of warm water) can flush away mucus from the nasal cavities and offer relief. Many people employ the use of a Neti pot. To rinse the sinuses using a Neti pot, just tilt your head sideways, insert the spout of the pot into the top nostril, and allow the saline solution to flow through the sinus and out the other nostril. Make sure to fully read and understand the directions that come with your Neti pot before attempting a nasal irrigation so that you avoid discomfort and infection. With high levels of stress, sleep quality and quantity typically go right out the window. Engage in stress relieving activities such as listening to soothing music, taking a walk, talking with friends, etc. to lower your stress levels and help you get a good night’s rest. Your body needs time to recuperate when it’s fighting off allergies, and you’ll feel better when you’ve had a solid, stress-free, night’s sleep. By giving your body the tools and fuel it needs to be healthy, you can easily reduce or eliminate your seasonal allergies and sinusitis. If you’d like to learn more about managing your seasonal allergies the natural way, join us at one of our upcoming allergy workshops (they’re absolutely free!). More information can be found HERE or you can call our office at 715-723-2713 to schedule a private, personal consultation. 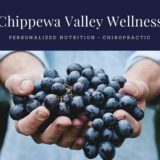 Contact Chippewa Valley Wellness for optimal wellness! Lyme disease is an infectious disease transmitted by a tick bite, specifically the deer tick. These insects are about the size of a poppy seed and have a propensity to reside on white-tail deer. Humans, who are accidental hosts, acquire the disease from the bite. First discovered in Lyme, Connecticut, the disease tends to reside in certain pockets across the US in which Northern Wisconsin is a major contributor. Lyme’s is very elusive by nature. The bacteria can morph into a spiral shaped organism, spirochete, and embed itself in tendons, muscle, heart and brain within one week after infection. The spirochete invades, replicates and destroys the host cell. Often called the great imitator, it mimics conditions like fibromyalgia, arthritis, chronic fatigue, Bell’s Palsy, ADD, MS and Lupus. Traditional signs and symptoms include the bull’s-eye rash (40% of bites), fever and joint aches (flu-like), headaches and fatigue. Standard testing has many challenges as it often gives a false negative if done too soon into the disease. Traditional treatment is antibiotic therapy and often misses the mark if started too late into the disease. Natural treatment looks at the areas of involvement including digestion, endocrine (thyroid, adrenal) and elimination (liver, kidneys and colon) as places of involvement. With this disease, “anything can cause anything” and a widespread management to support these and other organs is often required. Many times a person with Lyme’s also is dealing with other co-infections, heavy metal toxicity and intense inflammation of joints.